Mackenzie was overjoyed when his hand trike was delivered the day before his birthday. As the only child in the world with his condition, cycling outside with his friends has always been hard for Mackenzie, whose legs aren’t strong enough to use a bike or tricycle. His condition also affects his communication and development making exercise difficult for him. 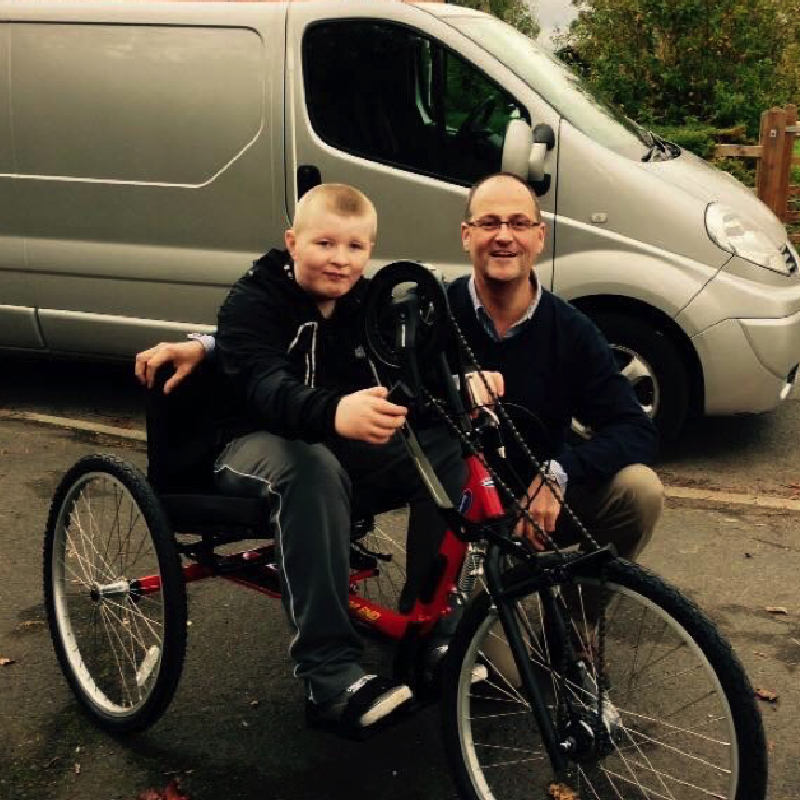 When Mackenzie’s school invested in a hand trike, mum Sharon was amazed by how quickly he took to it and the benefits this had on him. After contacting Caudwell Children, we were able to provide Mackenzie with a hand trike for him to enjoy at home in time for his birthday.